Our licensed and experienced electricians install and maintain RCD Safety Switches in Fremantle, O’Connor, Cockburn and the Perth metro area. Let PRF Electrical take care of all RCD Safety Switch Installation requirements. 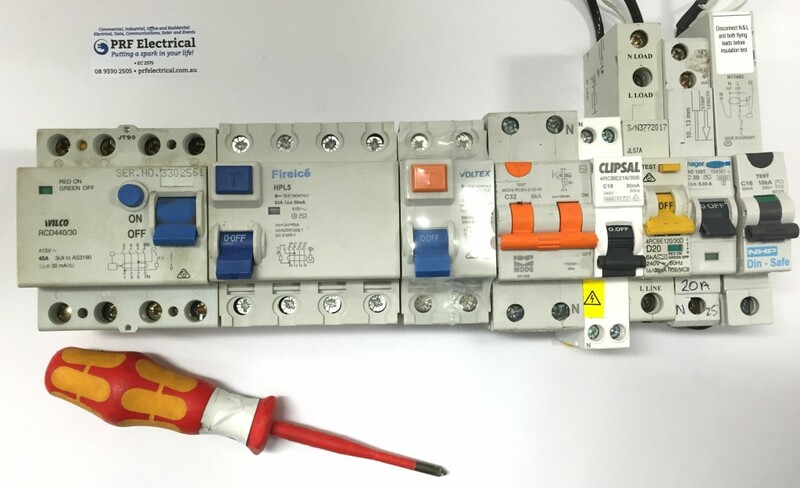 RCDs are designed to disconnect the power immediately (within milliseconds) should you come into contact with live wires, to prevent electrocution. Landlords and those who put homes up for sale in Western Australia are required to have installed a minimum of two RCD’s (Residual Current Devices) in the property, protecting both the lighting and power sockets. The law is not retrospective, but as professional electricians we recommend that all property be protected in this way.